Sell your iPhone 6S Plus 16GB with OnRecycle to ensure you get the best prices. With our comparison service, you needn't ask yourself "How will I recycle my iPhone 6S Plus" - we'll do the hard work for you! Selling your iPhone 6S Plus 16GB just got much easier, thanks to OnRecycle's simple and speedy system. 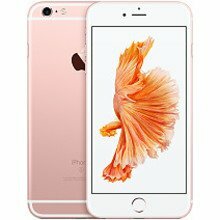 Discover iPhone 6S Plus 16GB trade in prices from across the market, along with ultra-useful information to help you make your decision. We'll help you sell your iPhone 6S Plus 16GBG online today!